A clumsy jack of all trades. The younger self of a seasoned performer. The regional premiere of “Curious Incident,” directed by Melody Deatherage, opens Friday and runs through April 14. Griep was inspired to trade the football field for the stage partly because of his mother’s work in TV news. She would often get free tickets to local performances and would bring Griep along. The next day, she would interview performers and learn about their time with the show. “I got a lot of good information about these people and about their careers, and I found it really interesting so I wanted to try it out for myself,” Griep said. “That was a blast and that launched me into theater,” he said. He followed that with “The Sound of Music” at Lake City Playhouse, “Evita” at U-Hi and “Little Shop of Horrors,” in which he starred as Seymour Krelborn. “What kept me coming back was not only the theater community but also I loved being in a show where I could portray someone else and falling in love with a new character,” he said. “Curious Incident,” based on the novel of the same name by Mark Haddon and adapted for the stage by Simon Stephens, follows Christopher, a 15-year-old amateur detective, who falls somewhere along the autism spectrum, though his condition is never stated explicitly. Civic’s production of “Curious Incident” almost didn’t happen. Because the show is currently being produced in Seattle, the company that represents the play’s rights for production felt there would be a conflict if it was also produced in Spokane and denied Civic’s application. 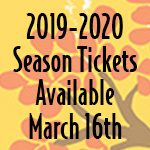 Creative director Jake Schaefer, knowing that Spokane is not Seattle, decided to appeal and was ultimately awarded the rights to produce the play. Griep hadn’t read the novel before auditioning, but he read a synopsis and was blown away by the story. Griep chose not to read the book during the rehearsal process because he didn’t want the character he was building to be swayed by another view of Christopher. Instead, he wanted his portrayal to be informed by the research he did on the autism spectrum. He also researched “stimming,” short for self-stimulatory behavior, which involves things like rocking, repeating words and phrases, and hand-flapping in response to things like stress and fear. “Curious Incident” is set in Swindon, in southwest England, and London, which means Griep also had to work on perfecting an English dialect. Griep, who plans to attend Spokane Falls Community College after graduating from high school and hasn’t ruled out pursuing acting as a career, thinks a British accent is easier than others for him to master, but he was still grateful for the help of dialect coach Dawn Taylor Reinhardt. 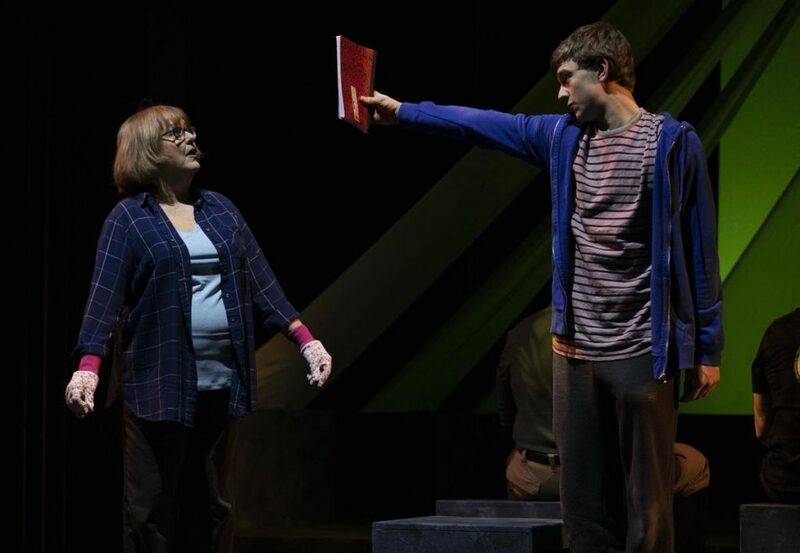 It’s that idea – acceptance – that Griep, who plans to read “Curious Incident” as soon as the production closes, feels is at the heart of the show. “It’s not a story about a kid with autism,” he said. “It’s a story about a young man who goes on a journey. Truly, it’s a story about acceptance, accepting people from where they are at in life.